If you’re looking to buy a new mid-range device, then surely Galaxy S Duos 2 is for you. Samsung has officially introduced the phone in the Indian market. The maximum retail price is Rs. 10,990, which is definitely unlocked. The phone supports Indian regional languages. The Galaxy S Duos 2 also supports Dual-SIM Always On feature that allows users to receive calls on one SIM number while taking a call from the other. It has a 4" WVGA screen (480 x 800) and runs Android 4.2 Jelly Bean. It's powered by a dual-core 1.2GHz processor with 768MB RAM, though the exact chipset isn't clear. Anyway, the phone has a 5MP camera, 4GB of built-in storage, microSD card slot and a 1,500mAh battery. Its 5MP camera is capable of handling 720p HD video recording while front camera is VGA only. 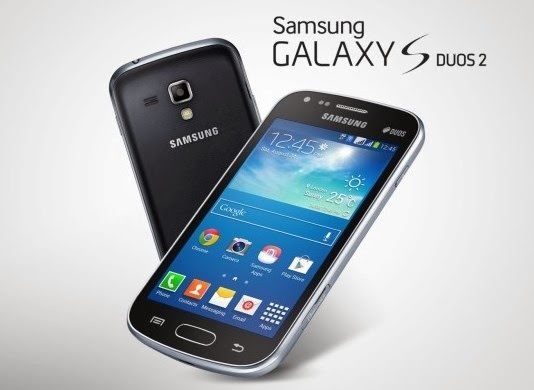 The Galaxy S Duos 2 is available in both white and black color.